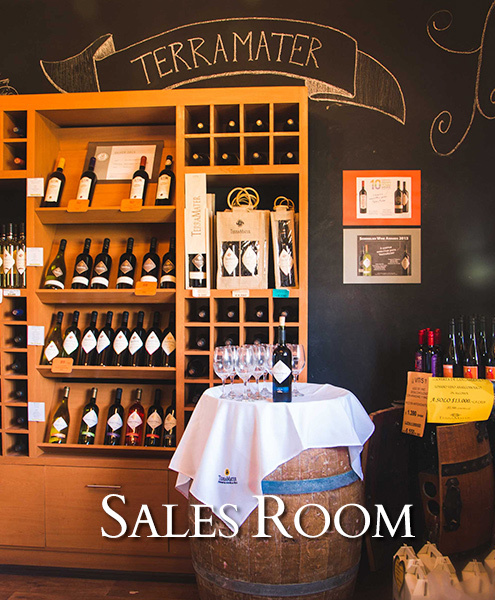 In our sales store you will find all our wines, extra virgin olive oils, grapeseed oil, vinegar, balsamic vinegar, imported sparkling wines, Italian pasta and tomato sauces, and also a great variety of Mediterranean products. 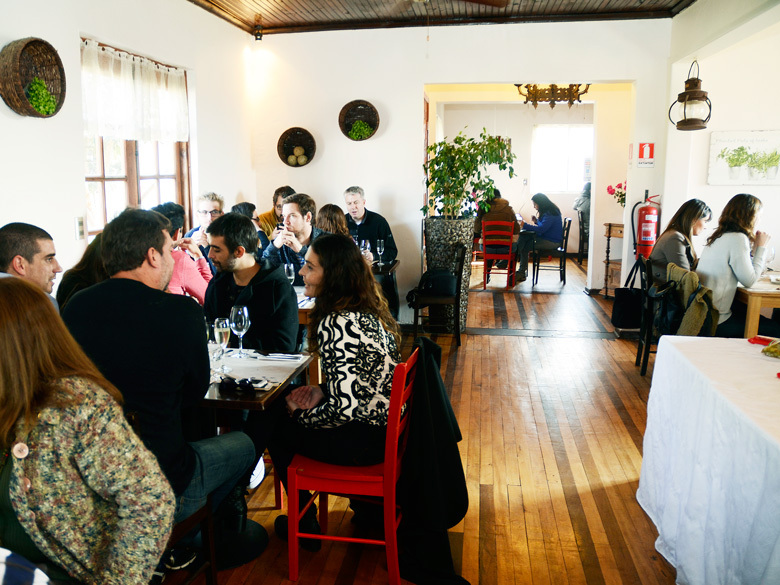 Also, you will be able to taste our oils and wines, because we are usually organizing tastings so our beloved customers can taste and get to know our different products. Homy establishment that also has tables under the comfortable shades of Nut trees and Fig trees. 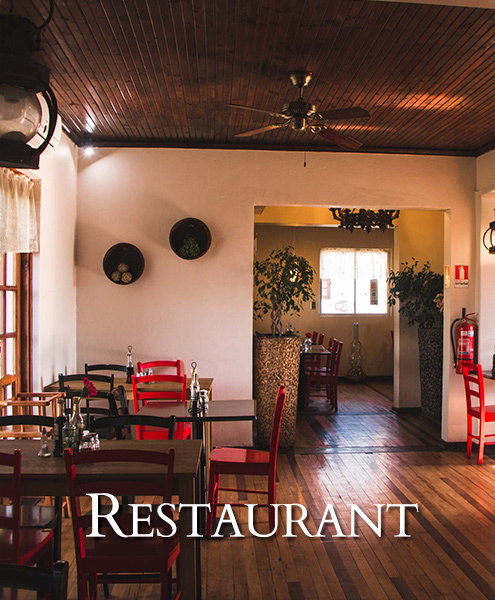 This restaurant has a short menu that offers a variety of flavors at very convenient prices. For example, our Meatloaf with polenta, Ricotta Panzotti and spinaches, Shrimp Lasagna, etc. 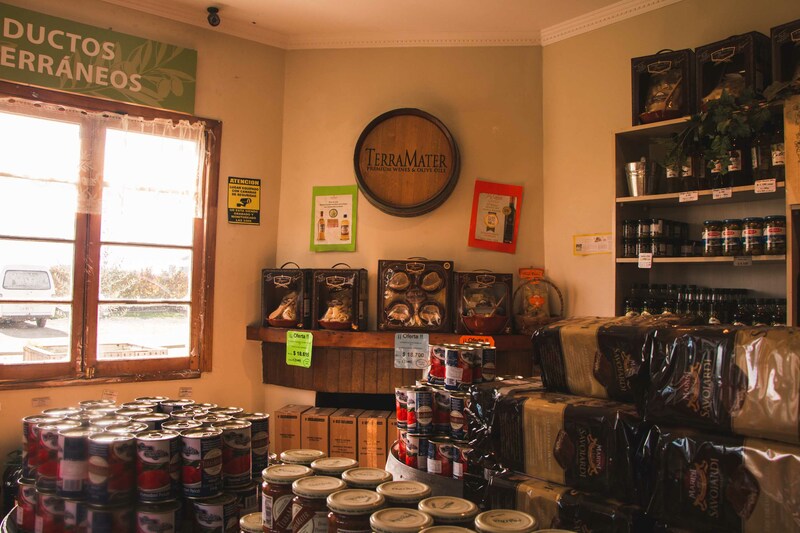 This way, TerraMater opens to the enotourism offering visits to its vineyards, cellars, restaurant and sales tours, where you will be able to acquire our wines, exta virgin olive oils and a variety of Mediterranean products. Avda. Balmaceda 4.900, Isla de Maipo. 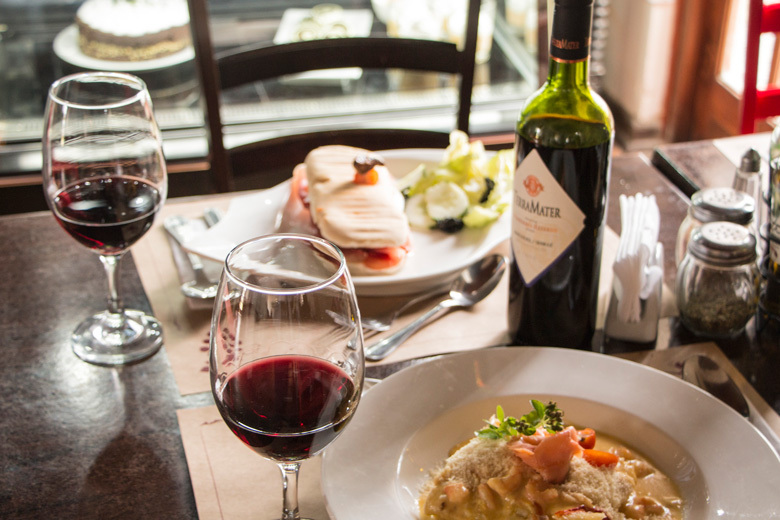 We would like to share with you the magic that is to discover a wine with two different dishes or two wines with the same dish. 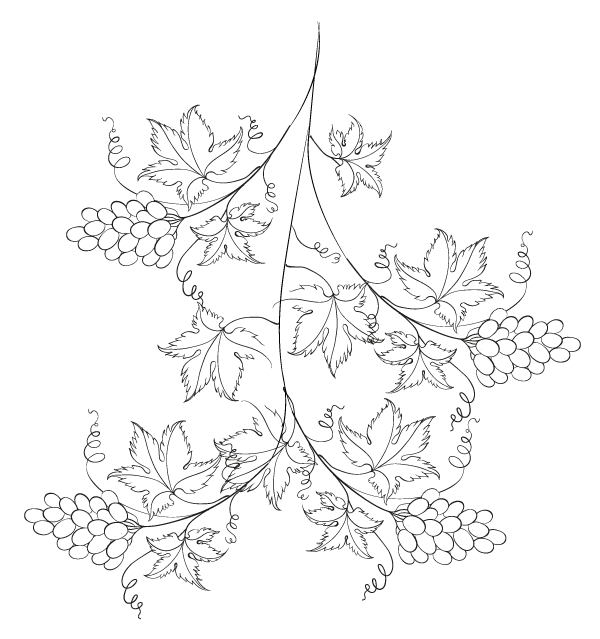 In doing so, you will realize that the wine shows various sides of its personality. 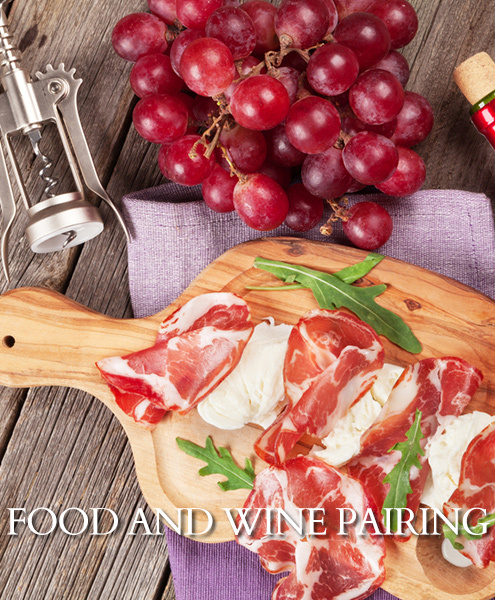 We can share simple, yet delicious, wine and food pairing, done with our wines and olive oils so you can enjoy the best of what the Mediterranean diet has to offer with your family and friends. The different tours can be realized from Monday to Saturday between 12:00 to 1700, with a previous booking with a minimum of 3 days of antelation. Bookings at ventascaperana@terramater.cl or at Tel. +56 2 2838 6902. Enjoy a pleasant tour in our vineyards, with the telling of the story of our company and its long tradition. 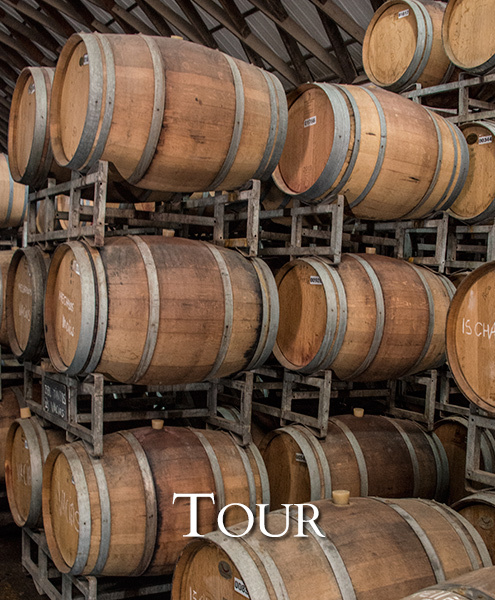 The tour also includes a tasting of 3 wines in our barrel room or tasting room. Price per person: 12.6 USD. Enjoy a pleasant tour in our vineyards, with the telling of the story of our company and its long tradition. The tour also includes a tasting of 3 wines reserve level and 3 extra virgin olive oils in our barrel room or tasting room. Price per person: 18 USD. Enjoy a pleasant tour of our vineyards on one of our Farm trolleys, with the telling of the story of our company and its long tradition. The tour also includes a tasting of 3 wines reserve level and 3 extra virgin olive oils in our barrel room or tasting room. This tour is available for groups of 8-15 people, so you can fully enjoy the experience of traveling our farm on one of our Farm trolleys. Tour duration: 1 hour 40 minutes. Price per person: 24 USD. A stroll through our history, wines and traditions. Walk with us through our estate where you will be able to see vines older than 50 years and also through our variety garden learning more about our exclusive varieties of winemaking grapes. We will visit our wine cellar, our maturation room where we age our wines in oak barrels and our bottling station, to finalize with a tasting flight of 3 of our most representative wines accompanied with an assortment of dried nuts. Tour available in spanish, english and portuguese. Tour must be booked 2 days ahead. Duration of the tour: 45 min approx. In this tour we want to present the mediterranean lifestyle. In our Mediterranean Tour you can take a walk through our variety garden, learn about the history of Terramater and our winemaking tradition. You will also visit our wine cellar, our maturation room where we age our wines in oak barrels and our bottling station. Also, you will be able to see and understand our historic machinery station for the production of Olive oil. Finally we will visit our Turism room, where a flight of 3 of our wines and 2 of our award winning extra virgin Olive oils will be waiting for you. Duration of the tour: 1 hour and 15 min approx. A different way to visit our vineyard on the back of a tractor, travelling across our fields we will visit our oldest vines and our exclusive grape varieties, while we learn about our history and winemaking tradition. We will also visit our wine cellar, our maturation room where our wine is aged in oak barrels, our bottling station and our old machinery station for making our production of Olive oil. Finally you will visit our Turism room, where a flight of 3 of our most representative wines and 3 of our award winning extra virgin Olive oils will be waiting for you. Capacity up to 15 people. This tour must be booked 5 days ahead. Tour only Saturdays and Sundays. From 11.00 to 16.00 HRS. Duration: 1 Hour and 15 Minutes approx. Olive oils are the main ingredient of the Mediterranean lifestyle, that is the reason why we created a special tour through our field of Olive trees, where you can learn about the different type of olives we use in the production of our award winning extra virgin olive oils. world and a new product made from our extra virgin olive oil.